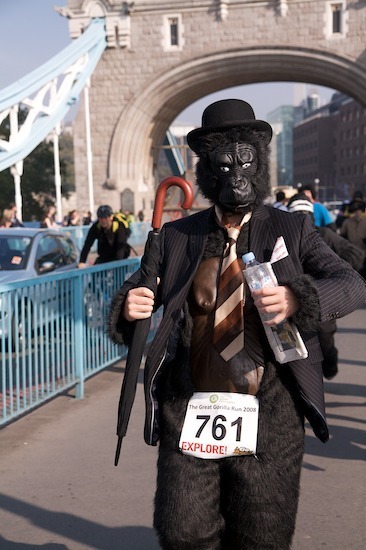 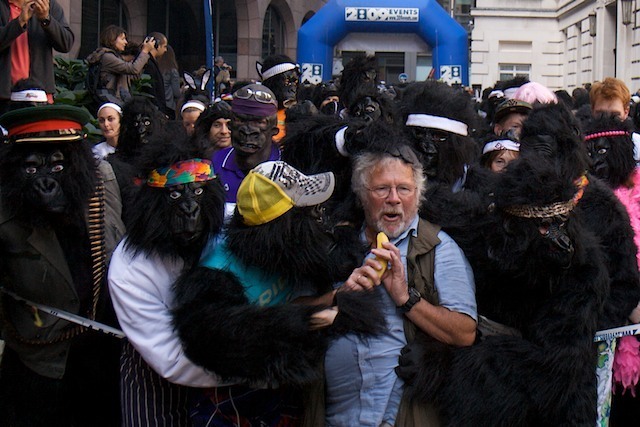 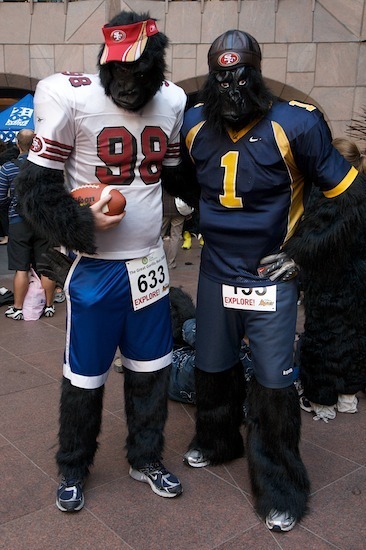 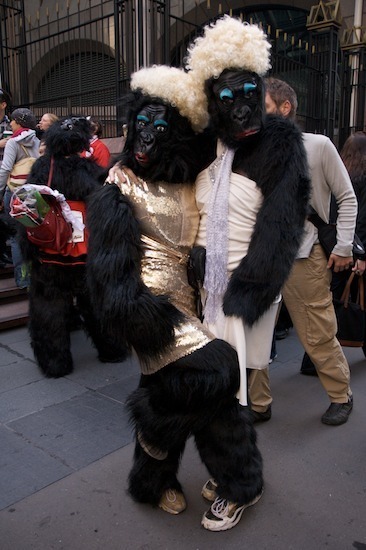 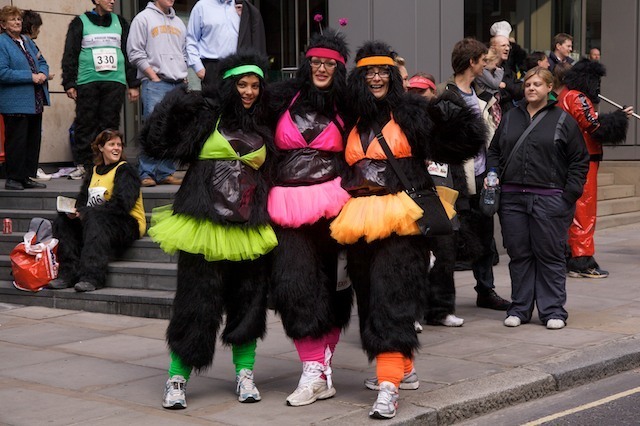 After what started out to be a rather misty morning, 750 people donned in gorilla suits descended upon the streets of London for the annual Great Gorilla Run to raise money for the endangered mountain gorillas. 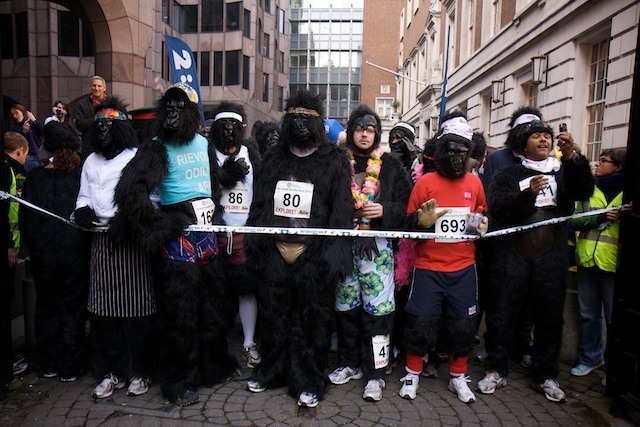 The 7km charity run through London startled quite a few bewildered tourists and morning joggers despite the Londonist warnings. 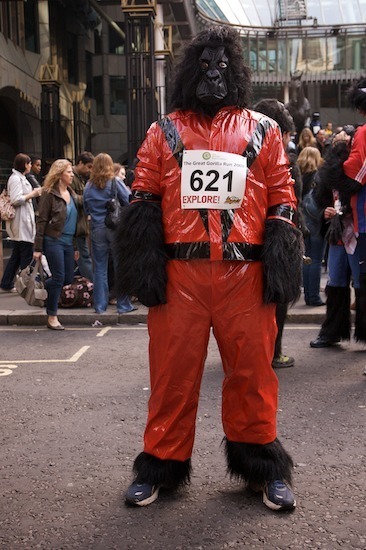 After spotting a gorilla sporting some very stylish "in season" gold lycra tights on the tube, STYLEist headed down to check out the latest in gorilla fashion. 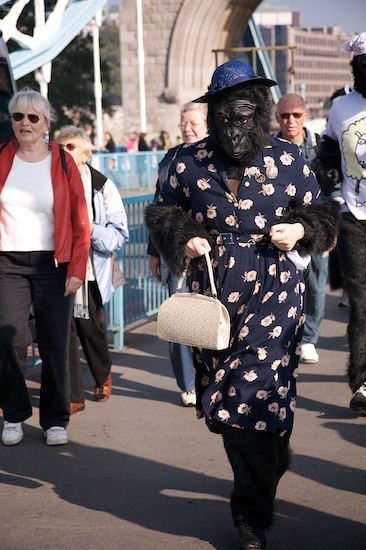 You have to agree, it beats London Fashion Week hands down. 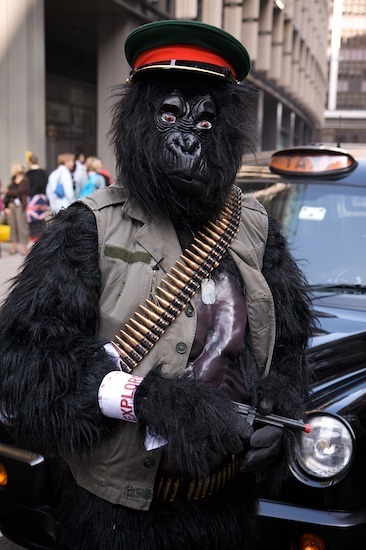 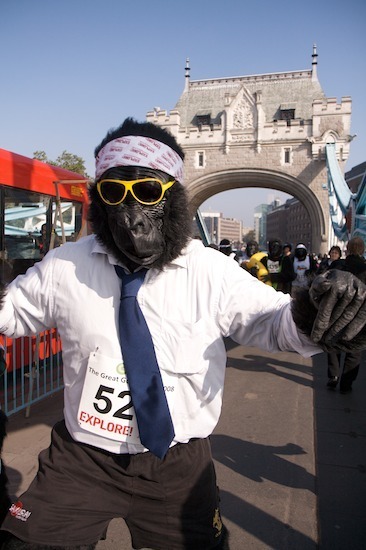 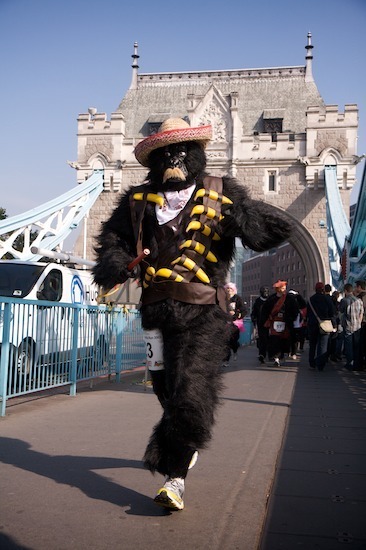 For more information about the charity behind the Great Gorilla Run, see Gorilla Organisation website for more details.